Owned by the world’s largest contract electronics manufacturer since 2016, and specialized in the making of LCD panels and televisions for a long time now, Sharp is looking to diversify its product portfolio in keeping with industry trends, as well as ramp up its previously timid in-house smartphone efforts. 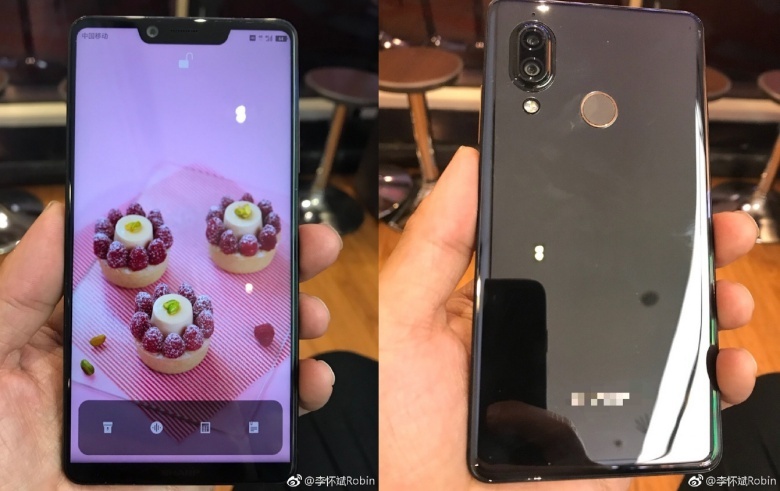 Unfortunately, after experimenting with various original “borderless” designs way before that sort of thing was cool, Foxconn’s subsidiary seems to have started looking at others for inspiration. If you thought last year’s Aquos S2 looked familiar right off the bat, “borrowing” elements from both the Essential Phone and then-unreleased iPhone X, check out this reported sighting of an Aquos S3 prototype above. The dual rear-facing camera appears to have gone unchanged, but the handset’s front is all iPhone X. Of course, Sharp is not the only brand expected to inexplicably ape Apple’s divisive “notch”, but that doesn’t excuse the blatant attempt at riding a rival’s (and partner’s) wave of popularity (and controversy). Weirdly enough, while everything else about the phone is in plain sight, you can’t see the manufacturer’s logo at the back. Hence, maybe, just maybe this is not how the Sharp Aquos S3 will look. After all, the S2 is still only around six months old, so it definitely feels a little early for working prototypes of a prospective sequel to already be making the rounds. Whatever this is, it’s totally uncool.